You know what it is! 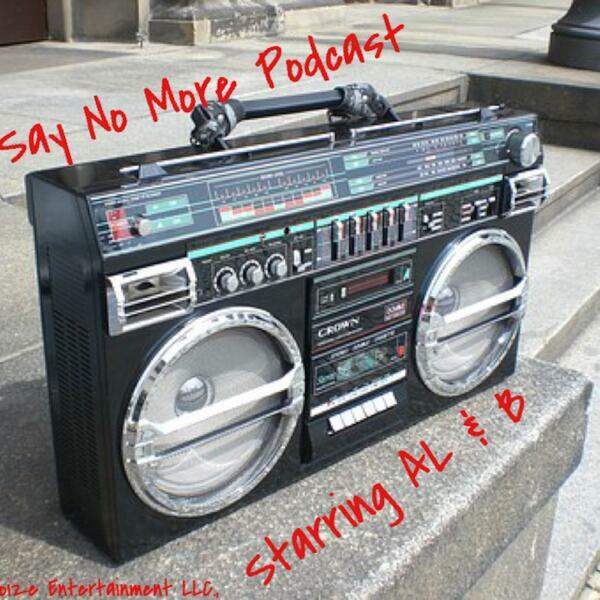 Ya manz is back with episode 21 of The Say No More Podcast. We start this of with some history. Chuck D made a book that I picked up. This Day in Rap & Hip-Hop History, we’ll be reading an exert from the book as each date comes along. This one comes from Xzibit’s 2nd album 40 Days 40 Nights. 20 year anniversary coming August 25th. Listen to Restless the 3rd album. We get into Method Man and his albums Tical 2000: Judgement Day. What was his beef with Nore from the cut Suspect Chin Niggas. Favorite tracks, beats, Judgement Day as a single? Comparing the fact of people not being ready like when Watch The Throne’s H.A.M. came out. Watch the Throne is a classic even though it’s not talked about. Vinyl - last time mentioning it to y’all, get it before it’s gone. Nicki Minaj, will we talk about her? Shouts to Jaquan aka Artis @chefboyartis for the mix.